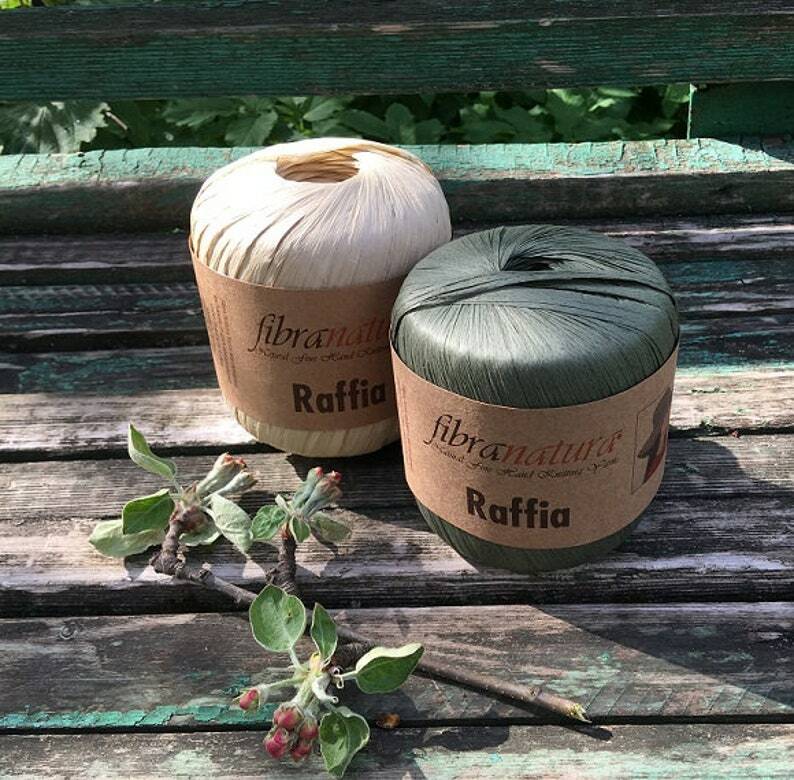 Yarn Raffia FibraNatura is a thin ribbon with a width of 5 mm from 100% cellulose. By the form and feel like a paper Japanese straw. However, the sensations are deceptive, because cellulose is a strong material. The thread is thin, soft and supple. The edges are not sharp. Do not prick. It is easy to moist-heat treatment: you can wash and iron (despite recommendations on the label where ironing is not recommended). Finished products keep the shape well, do not crumple, do not sit down and do not stretch. In addition, do not require special care. They can be folded and twisted, without fear of spoiling. Consumption: for 1 hat takes about 2 - 3 bobbins, depending on the width of the fields. The range of applications is quite large: stand-napkins, bags, hats, rugs, toys, pots, vessels, glasses, decanters and other decor. You can also make any object for storing things: a casket, a box, a container and the like. Everything depends on imagination. Colors are various both monophonic and colored (batik). Due to the settings of your monitor there may be some slight differences in the color tone / shadow of the website photo and the actual item that you receive. Excelente calidad del hilado y preciosos colores. Envió impecable y en tiempo.